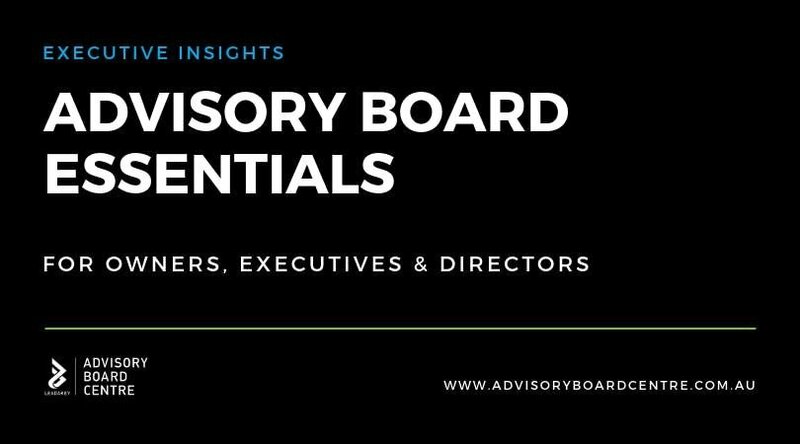 The Advisory Board Centre Executive Insights Programs are tailored for business Owners, Executives and Director's who want to gain access to the latest knowledge and research to accelerate their strategy. 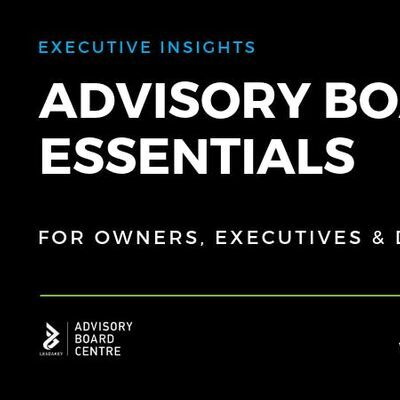 This highly interactive 1/2 day program guides you through an exploration of the value of Advisory Boards and practical steps you can take to implement an Advisory Board. Louise Broekman, successful business owner and founder of the Advisory Board Centre will be facilitating the board room discussion. The program is research based and provides you with an up close and personal conversation covering the topics that matter in a sales pitch free zone. The Executive Insights program is held in a round table format with numbers strictly limited to ensure a high standard of engagement. You will have the opportunity to network with other businesses and leaders. Louise Broekman is an award winning Entrepreneur, researcher and business advisor. Louise has received recognition from Industry and Government at a local and national level for her contribution to the Australian business sector. In 2004, Louise established an Advisory Board for her own business which has provided her with first hand experience in how a well run Advisory Board can positively impact CEOs. Since 2012, Louise has served as Chair for commercial Advisory Boards and guided businesses across all industries to establish their own Advisory Boards. Louise founded the Advisory Board Centre as an independent Industry Group to improve the quality of information and access around Advisory Boards for business. She is an in-demand speaker and is regularly called upon as the leading voice for Advisory Boards in the Asia Pacific region. Formalised Advisory Boards are a proven management tool that can support businesses to increase sales and productivity and build internal confidence in decision making and strategy execution. The Advisory Board Centre is an independent Indsutry Group supporting the business and professional Advisory sector. Our education and advocacy programs provide a practical pathway for businesses to increase competitiveness, foster innovation and drive economic impact through effective engagement with Advisors. Visit our website to find out more about the Advisory Board Centre and the Advisor Concierge, our complimentary facilitated connection service for businesses and advisors. This program is proudly hosted by Templetons Financial.